Share with fellow Mystery Quilters with the guidance and support of master quilt maker Denise Stewart. Come for the fun! Come for the fellowship! 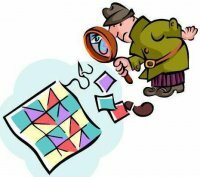 Come to enjoy the mystery quilt journey. For FREE! 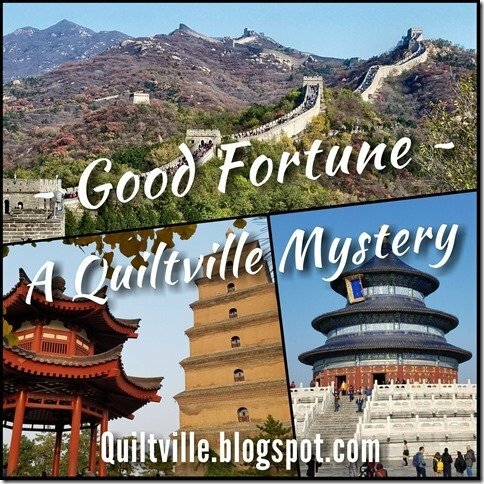 The Good Fortune Quiltville Mystery is offered as a free gift by Bonnie Hunter. Each Friday, beginning November 23, a free clue (and free sewing instructions) are given. Each Monday, beginning November 26, Denise will work with those who come to The Quilter's Trunk classroom to assist them with their mystery projects and/or keep them company and encouraged as they do their piecing. Find all the details of the mystery from the source: Quiltville.blogspot.com. Although Bonnie is offering this as a free gift, you must bring your own instructions from her blog to class... we cannot provide them for you as they are fully copyright protected. So check out the blog prior to coming to the "support group". Bonnie suggests fabric colors for the mystery. She clarifies the colors she recommends by designated paint swatches, available at your local paint supply store, but don't fret! Denise collected those paint swatches and has them available for your use here in the classroom. She has also pulled a collection of fabrics of those colors from The Quilter's Trunk shelves for your convenience, if you wish to use them. If you wish to sew on your project, please bring your sewing machine and basic sewing supplies. Bring your fabrics for your mystery quilt as well, or purchase them at The Quilter's Trunk. A limited number of irons, ironing boards, cutting mats, design walls and extension cords will be available for student's use during class time.